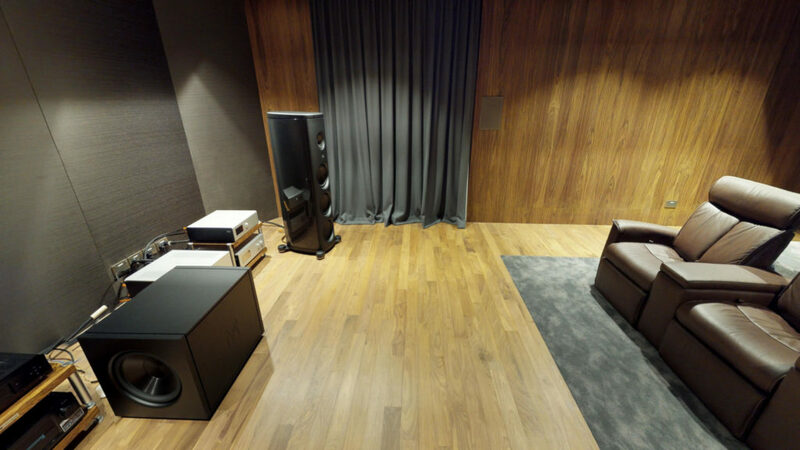 High-End Listening Room Checked! 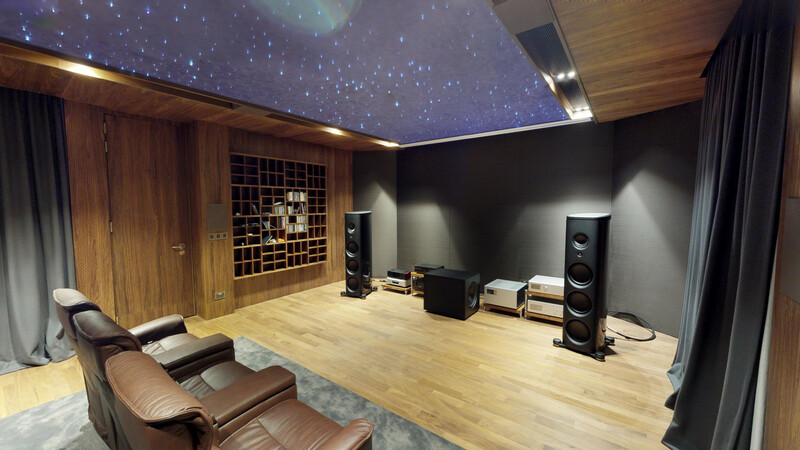 The main purpose was to achieve a match to the client’s acoustic taste in the form of a precision room tuned for Hi-Fi that had Home Theatre capabilities. 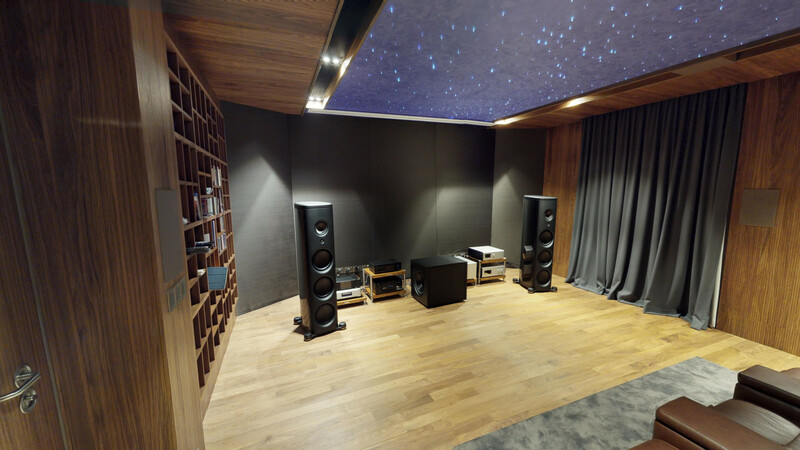 The end result was a listening room able to give sublime experiences that will send shivers down your spine across a myriad of music genres such as Classical, Jazz or Pop. The client’s sound system was a pair of limited edition M Project Speaker by Magico powered by Soulution processors and amplifiers – an already staggering system in terms of sound quality. Our goal was to create an acoustic environment that would be able to match this system and do it justice. Soundzipper was brought in as the acoustic consultant through the whole project lifecycle to ensure that good acoustical standards were upheld. Our collaborators were HYLA Architects and Aural-Aid. Together we crafted a comprehensive plan for a listening experience that integrated both aesthetics and sound quality. Sound isolation was crucial as the Magico system was able to output high sound pressure levels down to the lowest frequencies. Therefore, a room-in-a-room design was proposed. New mounting systems had to be developed for the vibration isolation system to deal with space constraints and the need to retain exposed architectural elements such as steel columns. The use of a “starlight” ceiling composed of hundreds of strands of optic fibre provided another challenge for the sound isolation. This was handled using a double layer ceiling system composed of both a floated acoustic ceiling and regular plasterboard ceiling. Lack of ceiling space meant that the AC system had to be designed with smaller ducts and shorter runs while still providing adequate silencing of the AC unit. This challenge was tackled with the use of silencers and insulated ducts. Additionally, custom sound isolation ceiling access panels were created to ensure access to the AC units did not compromise sound isolation. Being able to see the outdoors was a strict requirement for this room and there were 2 sets of large windows flanking both sides of the listening room. To meet this challenge, we had to conduct an acoustic study to check the feasibility of keeping these windows given the SPL levels we were expecting. Our study showed that the answer was a yes and we specified windows by Schüco – a German window manufacturer known for their high-grade multilayer sealing mechanisms. Thick laminated glass due to its low-frequency isolation performance. To deal with the low frequencies, we used tuned steel bass traps hidden behind acoustically transparent fabric on the front walls. A bookshelf was designed with the architect to provide scattering on the left and back walls. Slatted timber panels were chosen to be applied on the walls to create a warm sound. It was necessary to optimize the insulation coverage used behind the slatted timber panels to create regions of pure scattering and absorption. This had the dual purpose of reducing the deadness of the room while moulding the acoustic sound stage to become our imagined ideal. What was the experience like in the listening room? The room had good clarity with a sonorous quality. Percussion was quick and impactful and instruments were imbued with a sense of presence. Sound staging was very wide due to the asymmetric acoustic design we used. The Soundzipper team and the client were especially delighted with how the low frequencies turned out, with minimal room modes being activated except at the sub 30Hz regions. The Reverberation Time was 0.36 seconds for the listening room – low but within the tolerance of the initial design intent. Even though overall reverberation was low, the measured impulse response displayed a good level of early reflections that was an indicator of good sound quality for Hi-Fi listening. Finally, the noise criterion (NC) for the room came in at NC 21 – respectable and qualifies the space as a good silent listening room. Bonus: Have a 3D VR experience of this space brought you by our brand new Matterport camera!